Ettrick is a rural Parish in the County of Selkirk being bounded on the north-west by the Parish of Yarrow, on the north-east by the Parish of Kirkhope on the south-east by the Parish of Roberton, on the south-west by the County of Dumfries. 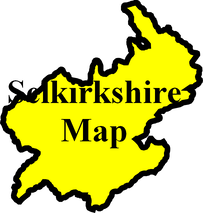 Ettrick is now part of the combined parish of Ettrick and Yarrow which also includes Kirkhope. articles on James Hogg, Thomas Boston and Tibbie Shiels. .
Ettrick Burials 1829 to 1852 by Nigel Hardie. CD-ROM Berwickshire, Banffshire, Peeblesshire and Selkirkshire Trades Directory 1837. Old Yarrow and Ettrick by Alex. F Young. 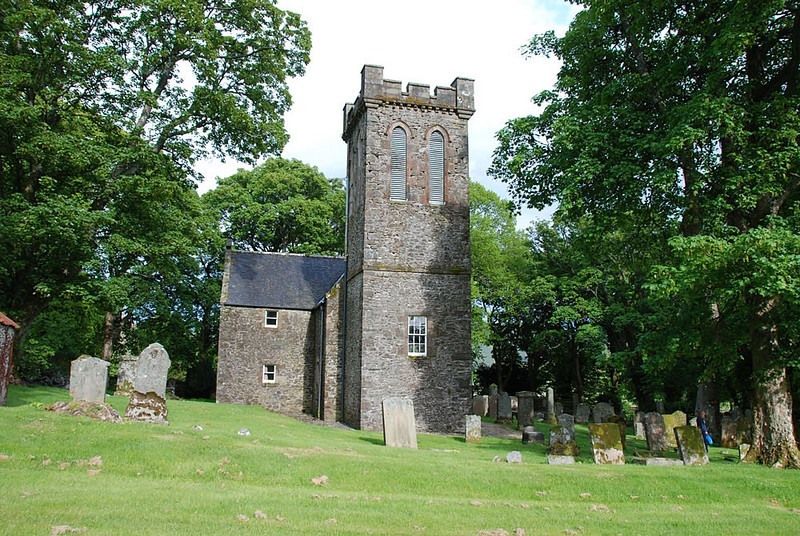 The 20 most common surnames on gravestones recorded by us in the Ettrick Kirkyard monumental inscriptions volume are (number of gravestones in brackets): SCOTT (25), NAPIER (21), LAIDLAW (21), BRYDON (16), ANDERSON (16), GRIEVE (13), AMOS (11), DALGLIESH (9), DAVIDSON (8), BEATTIE (7), STEWART (6), LITTLE (6), BIGGAR (5), MOFFAT (5), ELLIOT (5), THOMSON (5), SWORD (5), CUNNINGHAM (4), GLENDINNING (4), PRINGLE (4). Ettrick School Log Book 1903 to 1933 ref; S/ED/2/14. Ettrick School Minute Books, cash book, ledger 1873 to 1919 ref; S/ED/1/16-22. Chapelhope School Admission Book 1894 to 1930 ref; S/ED/3/2. Chapelhope School Log Books 1994 to 1930 ref; S/ED/2/11-12. Dalgleish School Log Book 1908 to 1937 ref; S/ED/2/13. Militia List for Ettrick 1807 and 1808 ref; D/42/6-7. Return of men between the ages of 18 and 45 in the County of Selkirk 108 ref; D/42/16/3. Pay lists of the Selkirkshire Yeomanry Cavalry 1809 and 1812 ref; D/42/16/7 and 13. Enrolment Books of the Second Selkirkshire (Ettrick Forest) Rifle Volunteer Corps 1860 to 1904. 1932 - Oral tradition about Sir Walter Scott, collected in Ettrick. 1953 - Links with Scott in Ettrick and Yarrow. 1964 - Ettrick Kirkyard Inscriptions. 1964 - Ettrick & St. Mary's, Yarrow name index. 1963 - Robert Easton, Ettrick farmer's day book 1756-1769. Vol 10	Notes by J. Hardie and Miss Russell. Vol. 28	Aikwood Tower - visited. Vol. 30 Ettrick Bridge - visited. 1951 - Immortal Memory - James Hogg the Ettrick Shepherd by David Mackie (available in Society Archives). 1957 - Ettrick Shepherd's Love Story by John o' Ettrick (available in Society Archives). 1965 - The Parish and Kirk of Ettrick by E.M. Reekie (available in Society Archives). 1841 census: Ettrick, Over Phawhope, Potburn, Bragbarhill, Nether Phowhope, Kirkhope, Shorthope, Brockhope, Cossarhill, Burnfoot, Rockvale, Scabcleugh, Goose Green, Craih Hill, Ramsaycleugh, Thirlestane, Hopehouse, Shepherdcleugh, Thirlestane Hope, Tushilaw, Wolfhope,, Crookwelcome, Crosslee, Deephope, Gemmelscleugh, Ettrickside, Flockfield, Annalshope, Burnfoot, Carcabank, East Buccleuch, West Buccleuch, Muchrah, Kercleugh, Chapelhope, Riskinhope, Fenzrhopehaugh, Baldhill, Roplawshiel, Mountcommon, Meerlees, Gair, Over Dalgleish, Glenkerry, Burnfoot, Nether Dalgleish, Conscleugh, Midgehope. 1851 census: Ettrick, Over Phawhope, Under Phawhope, Potburn, Braidgarhill, Kirkhope, Brockhopeburnfoot, Shorthope, Brockhoperigg, Cossarhill, Rockvale, Scabcleuch, Goosegreen, Craighill, Ettrick Hall, Ramsaycleuch, Primrose Brae, Kiisyke, Thirlstane, Hopehouse, Tushielaw, Crosslee, Crookwelcome, East Buccleuch, West Buccleuch, Cacrabank, Annelshope, Ettrickside, Gamescleuch, Deephope, Kerrcleuch, Muchrah, Chapelhope, Summerhope, Riskinhope, Midgehope, Timaside, Glenkerry, Nether Dalgliesh Over Dalgliesh, Concecleuch, Gair, Meerlees, Mt.Common, Ropelawshiel, Badhill , Fenzhopehaugh. 1861 census: Ettrick, Over & Lower Phawhope, Potburn, Broadgarhill, Kirkhope, Shorthope, Brockhoperigg, Cossarhill, Rockvale, Scabcleuch, Craighillend, Goosegreen, Ramsaycleugh, Kilsyke, Thirlestane, Hopehouse, Tushilaw, Crookwelcome, Crosslee, Deephope, Gamescleuch, Annelshope, Cacrabank, E & W Buccleuch, Fenzehopehaugh, Ropelawshiel, Bedhill, Over Dalgleish, Nether Dalgliesh, Conscleuch, Gair, Meerlees, Glenkerry, Timaside, Midgehope, Summerhope, Muchrah, Chapelhope, Riskinhope, Kerrcleuch.